Most criminal defendants focus on winning at trial, and seldom consider the need for an appeal until after they are found guilty. This is a big mistake. A criminal defense lawyer who represents a defendant in a trial court must always think about the possibility of an appeal, and act to protect the client's appellate rights in the event of a loss at trial. At the New Jersey, law firm of James S. Friedman, LLC, Mr. Friedman handles appeals from criminal convictions in the New Jersey Superior Court, as well as criminal convictions from State-level trial courts throughout the United States. Other improper conduct by the prosecutor or police that contributed to a finding of guilt, such as withholding information or presenting perjured testimony. Appeals are usually based on legal errors that occurred at, or in connection with, the trial. A successful appeal stems from a careful analysis of all phases of the trial court proceedings including pre-trial motions, jury selection, opening statements, presentation of witness testimony and other evidence, closing statements, jury deliberations, and sentencing. Attorney James Friedman identifies and skillfully explains all available arguments that can be included in an appeal. When serving as a trial counsel, Mr. Friedman begins to prepare for the possibility of appeal at the earliest stages of a case. He constantly seeks to include issues in the trial record that are likely to provide the basis for an appeal. He knows that a good trial attorney cannot assume that a jury will simply "walk" their client, and that effective trial counsel must start to prepare for an appeal by trying wherever possible to build appellate issues into the trial record. When he is retained to handle an appeal for a client previously represented by another lawyer, Mr. Friedman undertakes a thorough analysis of the entire trial record. He then honestly advises the client and the client's family about the appellate arguments that are available and the likelihood of success on appeal. 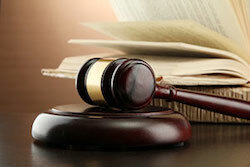 Attorney James Friedman's appellate practice is not limited to the courts of New Jersey. Mr. Friedman has been admitted in other jurisdictions on a case-by-case basis to represent clients in criminal appeals. In such matters, he works with local counsel to take the appeal through that State's judicial system as efficiently as possible. As with all appeals, he strives to achieve the best possible results for his client under the unique facts and circumstances of their case. Finally, Mr. Friedman is sensitive to the costly and protracted nature of appellate practice. He always seeks to advance appeals as efficiently as possible, finding ways to get the best result at the lowest cost to the client and their family. Generally speaking, and under current law, defendants seeking to appeal a conviction of a New Jersey trial court have 45 days from the date they are sentenced to commence their appeal by filing a Notice of Appeal and related paperwork with the Appellate Division of the New Jersey Superior Court. If this deadline is missed, a defendant may be able to obtain a 30-day extension, but only if they have a very good reason. Missing both of these deadlines could result in the loss of the right to appeal. It is strongly recommended that any defendant seeking to appeal their conviction do so as soon as possible after sentencing. Do not wait until the last minute. If you have been convicted of murder, carjacking, robbery, aggravated assault, sexual assault, a drug offense, or any other crime in New Jersey or any other State, contact Mr. Friedman online or call 800-361-6554 (toll free) to schedule a consultation to discuss your appeal.